With BAI, a trip to the Khumbu, the homeland of the Sherpa People and the approach to Mount Everest, feels like a journey "back home." 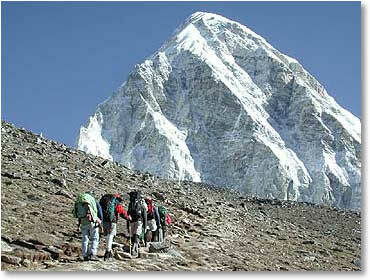 At last count our guides have a total of 25 climbing Expeditions to the south side of Mt Everest. At every turn our group is greeted with the friendly faces of some of our oldest and best mountaineering friends.